Hello Guys. 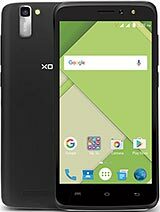 this link i am providing for all those people who are caught in the mumbo jumbo of the battery confusion of Xolo Q3000. I would rather suggest to them to go through this link and then decide for themselves whether LIPO and LION holds much of a difference. Its like saying Atoms are better then Hydrogen. please go through this link and stop worrying about Lipo or Lion terms as Lipo is nothing more then Lion in pouch that is why Lipo. 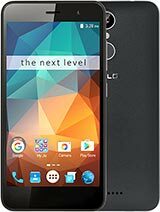 Go through this link and stop getting fooled by mobile companies where customers are ready to shred extra money in name of LIPO battery. AnonD-283040, 13 Jul 2014Hi Amit which app is best ?I wanted thisHello Bro. You can easily download software ShareIT from google play developed by Lenovo and available for free. only thing is when you want to transfer files both the devices should have this software installed. so it means even a 2500 rs android phone can transfer data very quickly to another android phone. But if you are willing to shred hefty money in the name of brands just as 80% of we indians do then definitely you can buy phones like HTC,Samsung or LG. pooja, 15 Jul 2014Hi.. I am planning to buy either note 2 or zolo q3000... Confussed..... Is zolo over note... I... moreHello Pooja. I think both the phones are good in their own lights. I have used Samsung S3 which is a benchmark holder in its segment and now using Xolo Q3000 from one month. Its illogical to compare a 16000 phone and a 28000 rs phone. But yes compare Xolo to all branded or non branded phones in category of under 17000rs phone and it beats the living hell out of any phone. It even outcasts some of the branded phones worth till 20000 rs. So its your choice if you are ready to shred 10000 rs extra from your pocket then note 2 is a definite go. 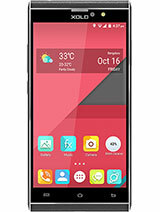 but if you want to enjoy good performance at a less price then look no forward to Xolo Q3000. Hi.. 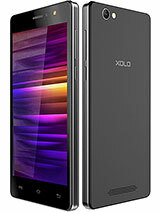 I want to decide to buy either xolo q1010i or xolo q3000.. which is awsome?? Pls help me..
ALPESH PATEL, 01 Jun 2014Dear sirs and friends, Please help me, My XOLO q3000 light sensor not work at the time of ca... moreincrease back light time. in display. Hi.. 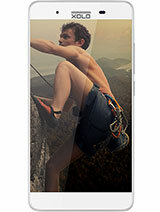 I am planning to buy either note 2 or zolo q3000... Confussed..... Is zolo over note... Incase of features n durability? AnonD-275457, 19 Jun 2014Ashish, Thanks a ton mate, it worked. Else the sound was so feeble unable to hear till brou... moreBro, Dont put your fone on auto brightness mode. 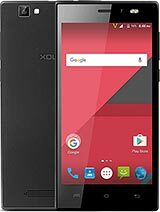 Is android in xolo q3000 upgradable to android 4.4.2 kit kat? gevin, 10 Jul 2014Hey guys i have been using this phone xolo q3000 for a month now. Its a grt phone and recently... moreWhere & how u did the update to kitkat ? Suneesh, 08 Jul 2014Amit gupta, NCF is just a technology used to transfer small amount of data, rest data transfer... moreHello Suneesh. you are correct its my mistake to quote NFC its rather Wifi direct which i meant. and still i would say why should one pay huge amounts to these brands in name of a technology which we all hardly uses and yes try ShareIT software between two phones any brand any price range and see how fast they transfer huge data files or apks. i have done these things lots of time on my s3 and now did same between xolo q3000 and samsung ace duos and i could see the 100mb video file sent in hardly 30 seconds or so. NFC on other hand is a technology which supports data transfer through radio frequency but then you cannot use it to transfer huge files so ultimately its just a way to extract more money out of peoples pockets as most of the buggy softwares of high end phones of samsung which they boast of and which you would not like to use if you use them once. gevin, 10 Jul 2014Hey guys i have been using this phone xolo q3000 for a month now. Its a grt phone and recently... moreBut on xolo site site there no any updates available.